Marry the Rich, Mary the Rich. 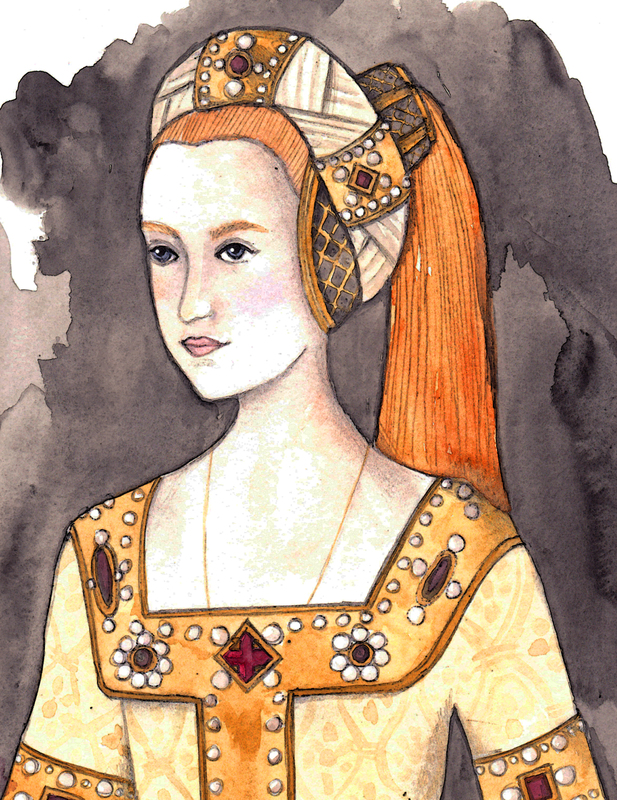 Marie de Bourgogne, or uh… Mary of Burgundy. 1457-1482. I was looking into the Valois princesses and there’s a LOT of lovely ladies in the House of Valois-Burgundy. Marie was the only child of Charles the Bold, Duke of Burgundy and his wife Isabella of Bourbon. Isabella was an heiress to an enormous fortune. When Marie inherited this fortune- she was referred to as “Marie the Rich.” (Ha… I wish I could acquire a nickname like that.) As you can imagine, being the most eligible bachelorette of her time = many suitors. Although selected by the King of France for his son, the dauphin, life as a queen was not for her- so she selected Archduke Maximilian of Austria who became her co-ruler. She died at the age of 25 in a tragic accident. She was out falconing with her husband when she fell off her horse, the horse landed on her and broke her back. Philip the Handsome (love that) 1478-1506, who later became Philip I of Castile by marrying Joanna of Castile. Margaret (1480-1530) who married Juan, Prince of Austria and then later Philibert II, Duke of Savoy. A son, Franz died as an infant. Going out today! Whoohoo. 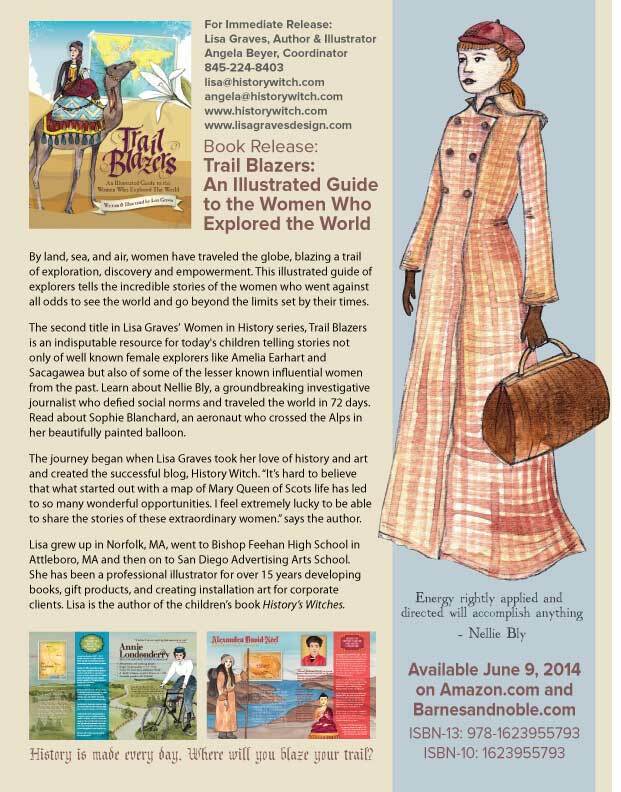 This book was so rewarding to work on- I love all the extraordinary woman featured from Fanny Bullock Workman to Nellie Bly, Sacagawea to Edith Durham. Official release date is June 9th. I discovered this woman’s story thanks to HW Follower, Matea Vadlja. Thank you Matea! Mostly home-schooled, with writers on both sides of the family, Ivana was an internationally praised author from Croatia. Her book The Marvelous Adventures and Misadventures of Hlapic the Apprentice, was published in 1913 and the critics raved. 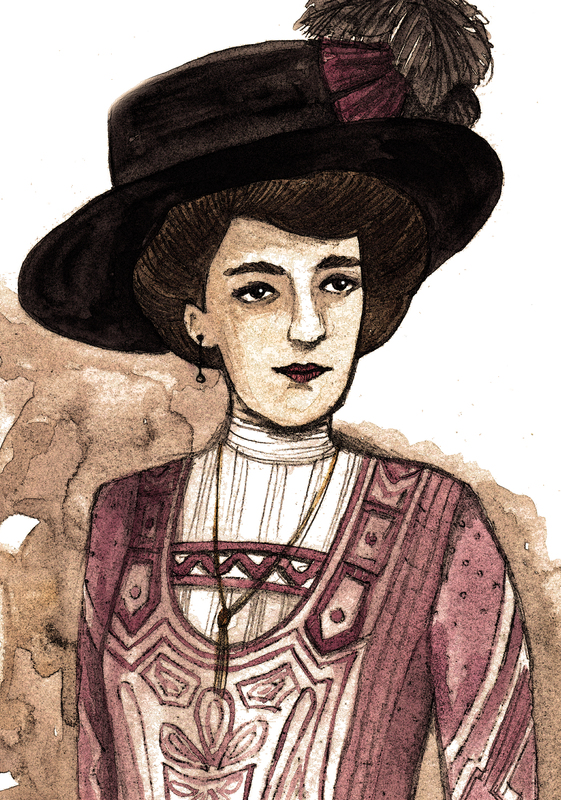 Her book Croatian Tales of Long Ago, published in 1916, is one of the most popular today because it was adapted into computer interactive fiction in 2003. The book is a series of fairy-tales using names and motifs from ancient Slavic mythology. Because of this, she is often compared to Hans Christian Andersen and Tolkien. She was nominated for the Nobel Prize in Literature four times. She also became the first woman accepted as a Corresponding Member into the Yugoslav Academy of Sciences and Arts. Unfortunately, Ivana battled depression most of her life and committed suicide on September 21st, 1938. 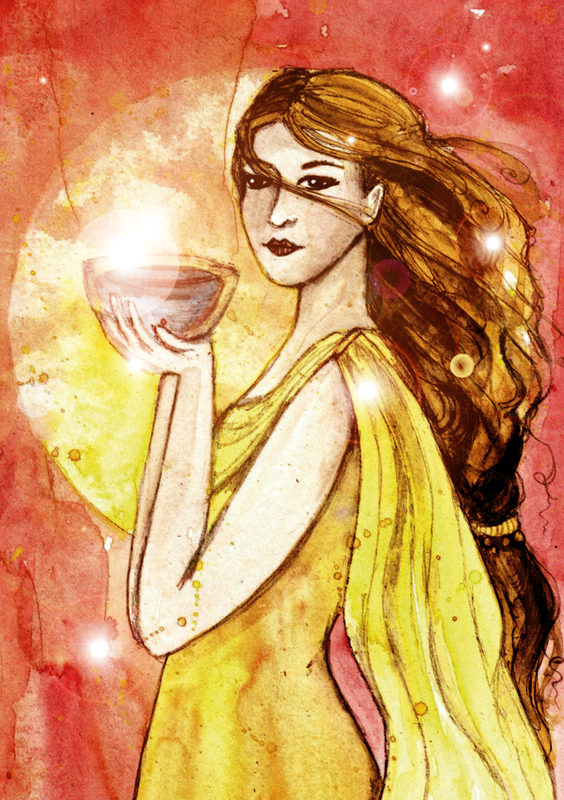 Circe was a Greek Goddess of Magic. She lived on the Island of Dawn and was the daughter of Helios and Perse. She was a powerful sorceress who used her magic to transform men and women into beasts (I think that’s my new favorite super-power.) It was said she would transform her victims into animals, but their minds remained quite human. She was well known for her knowledge of potions and herbs but was exiled to the island of Aeaea for her cruel treatment of enemies. In Homer’s Odyssey, her home in Aeaea is described as a water mansion in the middle of the woods. The lions and wolves prowling the island were victims of her magic. She invited several members of Odysseus’ crew to a feast- but the food was laced with one of her poisons and all were turned to pigs. Only Eurlochus escaped to warn Odysseus and the others who had stayed behind on the ship. Long story short… Odysseus used an herb called Molly to protect himself, but ended up being Circe’s lover for five years.